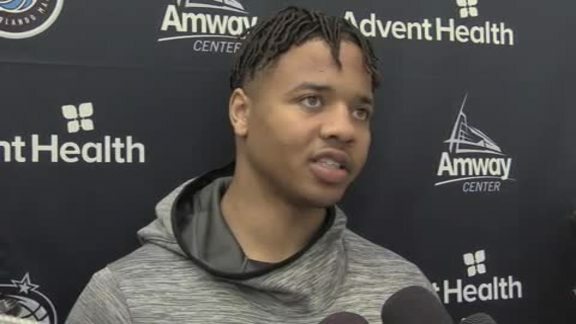 ORLANDO – In an effort to help him begin his assimilation with the Orlando Magic, his new teammates and his new surroundings, point guard Markelle Fultz rejoined the franchise on Tuesday and will continue his rehabilitation at the team’s Amway Center headquarters. Fultz, who the Magic traded for on Feb. 7, is out of action because of thoracic outlet syndrome – an impingement issue in either the blood vessels or nerves that run through a specific space between the neck and shoulders – and has been going through rehabilitation exercises previously in Los Angeles. There still is no timetable for Fultz’s return. Fultz, 20, was the No. 1 pick of the 2017 NBA Draft by the Philadelphia 76ers, but he has played just 33 games over the past two seasons – 14 last year and 19 this year – because of wrist and shoulder injuries. He averaged 8.2 points, 3.7 rebounds and 3.1 assists earlier this season with the Sixers, but he hasn’t played an NBA game since Nov. 19. He has spent much of the past four months in Los Angeles working with Los Angeles-based therapist Judy Seto, formerly the Head Physical Therapist of the Los Angeles Lakers and currently a consultant with Major League Baseball’s Dodgers. Magic President of Basketball Operations Jeff Weltman visited Fultz in L.A., as did several staffers on the medical team to assist with his rehabilitation upon his return to Orlando. Fultz raved about the improvement he’s made physically and said he’s gradually being allowed to do more and more work on the basketball court in addition to his rehabilitation work. The Magic (33-38) have just 11 games remaining in the regular season. 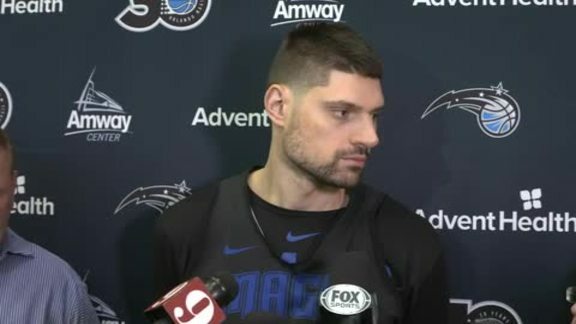 Orlando, which hosts the New Orleans Pelicans on Wednesday night, came into Tuesday in ninth in the Eastern Conference and 1½ games back of the rival Miami Heat for the eighth and final playoff spot in the East. Fultz said being back around the Magic will help ease some of his frustration of being away from basketball. 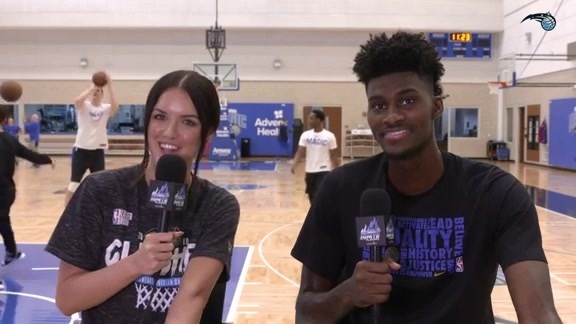 He wants to do whatever he can to help Orlando reach the postseason, while also preparing himself for his return to action in the future.